Our PPC team designs, executes and optimises profitable paid marketing strategies. We use data-driven insights alongside a combination of creativity and advanced technology to drive highly performing campaigns that make noticable differences to your bottom line. Our services include paid advertising services across search and social platforms, taking a data-driven approach to deliver the best possible return on your spend. Take a look at a selection of our services below, or get in touch to discuss your requirements. Our ability to drive higher conversion rates and more profitable CPAs even in the most competitive Shopping sectors is unmatched. 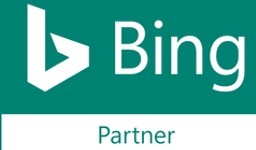 Growth Architects are proud to be a Google Partner and Bing Partner for the management of PPC services. A high level of media spend across managed client accounts. High performance results through the delivery of solid revenue growth and campaign results. Strategies involving the latest channels and tools available across Search, Display, Shopping and Video. Fundamentally, this important status gives our agency access to the latest insights and beta features available. Our ability to always be at the vanguard of digital marketing is something which truly sets us apart from most and our partnership with Google and Bing gives our clients the edge against competitors. Time to remove guesses from the equation. Online pay-per-click advertising can be overwhelming and intangible for those just embarking on a new campaign. Any agency responsible for running campaigns is not in the guessing game - the approach should always be scientific and data-driven - our agency will only make a decision when we have access to sufficient data to ensure we make the correct choice. Working in this way, we can ensure that our account management team is the best it can be. Everyone of our employees champion the scientific approach to PPC management, applying principles of mathematics, user testing and insightful data analysis to inform every single decision and get the best return on your investment. With our unique perspective, restrictions set in place by advertisement platforms, Google or Bing, represent opportunities. For our team, any restrictions we can bypass or use to our benefit will give our clients an advantage. Creating scripts which help us service our clients better is all part of the job and regardless of which platform we're working within, our clients always benefit. Our account management, reporting and performance analsys takes into consideration every aspect of the campaign and our main priority will always be to provide handsome returns on your advertisement spend. We take the time to get to you know your business inside-out because there is never a successful no-one size fits all approach in PPC. Our internal tools protect your media spend and automate complex management tasks to ensure an aggressive return. Fundamentally, our team of experienced account managers are supported by an extensive toolset of advanced software to ensure great results. We're constantly testing the limits of all of the advertising campaigns we work with and always use a proactive approach for keeping our clients at the forefront of the industry. Applying this methodology, we can ensure that we continue be great at what we do and continue to provide outstanding results for all of our clients. You won't find a hunch behind our doors, in our offices. We make decisions that are backed by data, statistics & clever algorithms. Combining proven techniques, data modelling and scientific analysis keeps us and our clients ahead of the pack. Deciding which agency to trust with your advertising campaign can be a difficult decision. Choosing to work with a Google Partner agency ensures you are working with professionals which are trusted by the world's largest search engine and advertisement platform which can deliver the results you are seeking. Whenever you entrust an agency which has been accredited by Google or Bing, you can rest assured that you'll be receiving the highest standard of work. We believe in ethical marketing which delivers results for our clients and we pride ourselves on our progressive thinking which conforms with Google's guidelines. We will never put your website at risk of penalty of downgrading because we will never use or recommend unethical marketing techniques. In addition to being a Google Partner, our team is heavily invested in Google Analytics which means we can help you capture and present your data more intelligently. Reach out to us or take a look at our services pages to find out how we can help your business grow using PPC. Growth Architects have demonstrated increased product performance and expertise in basic and advanced search concepts, including best practices for creating, managing, measuring and optimising search ad campaigns across the search network. Growth Architects have demonstrated increased product performance and expertise in basic and advanced concepts in mobile advertising, including ad formats, bidding and targeting, and campaign measurement and optimisation. Growth Architects have demonstrated increased product performance and expertise in basic and advanced concepts in shopping advertising, including creating a Merchant Center account and product data feed, and creating and managing Shopping campaigns. Providing PPC services is challenging as it requires dedication, constant-learning and staying ahead. We continually demonstrate the following. Key members of our accounts management team have achieved the individual Google Ads certification. We ensure these members are kept to-to-date and share their expertise with the entire team. These members keep up to date on the latest tools, techniques and join refresher exams every 2 years. Best practice are at the heart of what we do and our team is determined to follow advertisement platform guidelines to maximise outcomes and provide reproducible processes..
Our clients benefit from consistant results and we have proven this to Google. 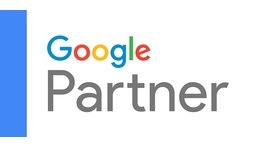 This means our clients get the return on investment they demand and we continue to be recognised as a Google Partner. Our team receives access to the latest tools and resources from Google which means that we can spot opportunities before other businesses and help to keep you at the forefront.